For over 40 years, the Nova Scotia Youth Orchestra has fostered a strong sense of community through high-level orchestral music-making, and engaging talented young musicians province-wide. Its members have the opportunity to work with nationally and internationally-acclaimed visiting musicians, as well as regularly with their JUNO Award-winning music director Dinuk Wijeratne and professional musicians from Symphony Nova Scotia. The more than 1000 alumni of the NSYO continue to speak of the tremendous impact that this community has had on their artistic and personal lives. Through rehearsals and performances, workshops and leadership opportunities, the NSYO continues to stimulate talented young minds and develop young musicians’ talent. The orchestra has been described by renowned professional conductors and musicians as one of the finest youth orchestras in Canada. It has positioned itself over the last four decades as a major contributor to the artistic and cultural landscape of Nova Scotia. As a beacon of opportunity for those who seek to embark upon a journey of personal and professional discovery, the NSYO provides a unique experience that enhances, encourages, and inspires each member to strive to fulfill their greatest potential. Through the ongoing support of its donors, supporters, and community partners, the orchestra embodies the fundamental tools, resources, and skills required to fulfill its mandate while at the same time consistently providing meaningful and influential opportunities generation after generation. 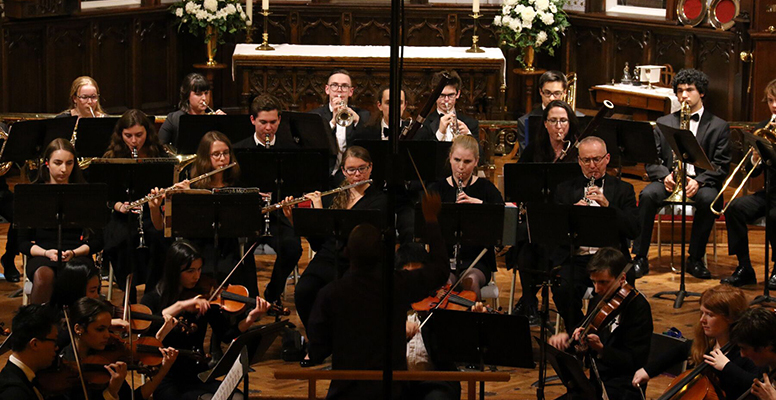 Its impact can be measured by those of our alumni who have gone on to successful careers in music, including as performers, composers, university professors, and school teachers. Others have applied the skills learned at the NSYO toward other fields, having since become doctors, lawyers, teachers, company executives, and more. These achievements are a testament to the extremely powerful impact the NSYO has on its members and those who experience its performances as patrons. The NSYO’s season runs from the end of September until the end of April and includes an orientation weekend. The orchestra performs between 4-6 concerts in a typical season.